Willow Center / Would you like to be a Camp Erin Volunteer? Would you like to be a Camp Erin Volunteer? Camp is an amazing experience for campers and volunteers! 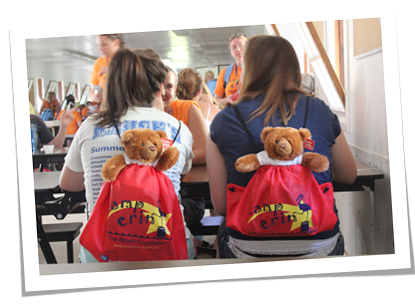 The primary qualification in being a Camp Erin volunteer is coming to serve with a willingness to pitch in wherever there is a need, joining an outstanding team of volunteers to create a safe, meaningful weekend experience for our campers. Every volunteer role is an essential, vital piece that makes this possible. The average time commitment is 20 hours between March and July, divided among meetings, required training and committee work, plus participating in camp. For more information – click on the “Get Involved” tab, go to Camp Erin. Volunteer applications are being accepted now. Training begins in April and May.